In a world where the landscape of technology is evolving almost as fast as it’s created, people find themselves more and more dependent upon the technologies that most benefit them personally, as well their company overall. Whether you are an artist, work in IT, are employed in big business or are doing your own work, chances are that you use the technology of today to help spread word about who you are and what it is that you do. From hosting websites to show your art or developing code for a company a few cities over, technology gives us the ability to do our work reliably and, oftentimes, remotely. It is because of how integral technology is to our lives that makes choosing the right power protection company so important. 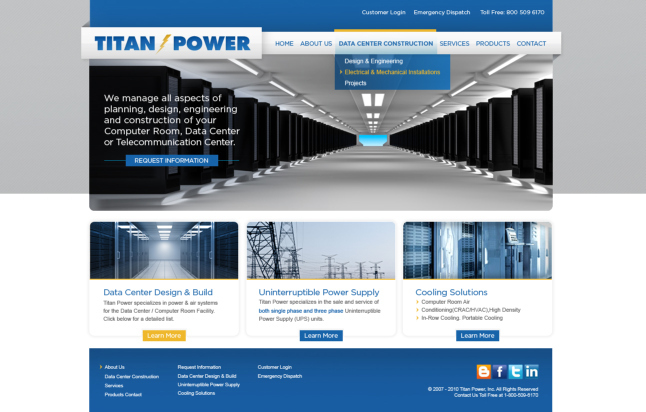 A power protection company is a company that provides a service specifically designed to mitigate and minimize the downtime you may experience with your technological equipment. There are a wide variety of things that can happen that would result in downtime. Whether the power in your area goes out or your cables are damaged, having a power protection company that knows what they’re doing can mean the difference between your customers getting the desired result, or having them get nothing at all. If you depend on a website to promote your business but your website is unavailable due to power issues then you are missing out on potential viewers. Potential viewers are potential customers, and if they cannot see what you offer, they are going to go elsewhere. When you try to find a power protection company, consider going with someone who is relatively local. You want to do this for a number of reasons. First, with close proximity comes the ability to get the hardware you need in the fastest time possible. Finding a business that is local to you can mean you may be able to have it delivered on the same day or perhaps run over and grab it yourself. This would not be a possibility if they were not local. By finding a business that is local to your area, you also open yourself to their current customer base. You can find people who have worked with them in the past, or who are currently working with them. Doing so will let you figure out what type of company they are, and they may recommend their services. You can also check them out online and find reviews there. Having a power protection company that provides a good service is important, and having one that is local is equally so for the many benefits that it offers. Another nice advantage to doing business with a local company is that they will often have spare parts that are available to you. Do not be afraid to call and ask about what sorts of parts and services they offer in addition to what is listed or advertised. They will be willing to discuss with you any questions or concerns that you may have. The end result will be you going with a company that fits your needs, budget, and expectations. Rest easy knowing you’ve made the choice that is best for you and for your business, whatever it may be. 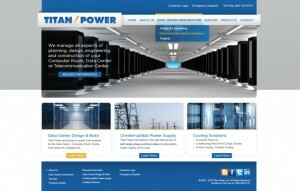 This entry was posted in Titan Power and tagged Titan Power. Bookmark the permalink.